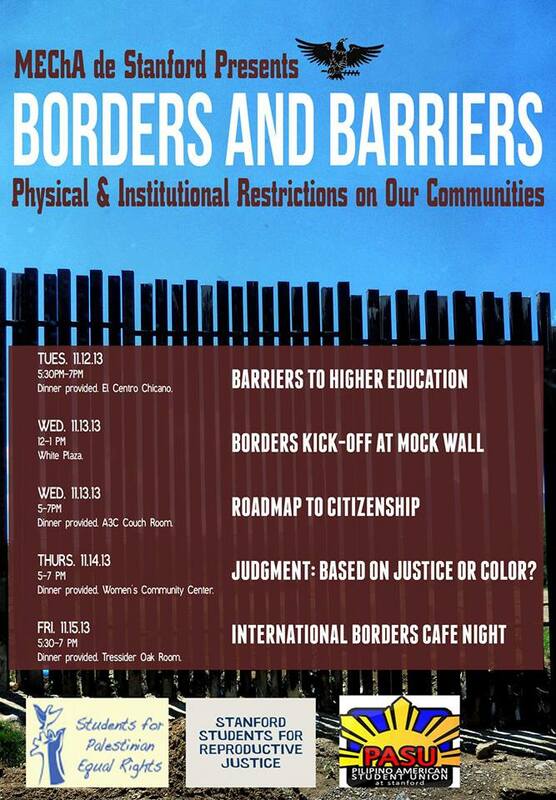 MEChA de Stanford hosted Borders and Barriers Week from November 12-15. The week aimed to promote awareness of barriers that certain populations face to many things that are taken for granted by many students at Stanford and people across the nation. Sin Barras led a discussion on Nov.14, 2013 at Stanford on California’s illegal sterilization of women prisoners and the importance of trans and queer liberation within the prison abolition movement.